There are several ways to add text to a Caption field, and editing it is very easy. The quickest and easiest way to add text to the caption fields is to drag and drop it. 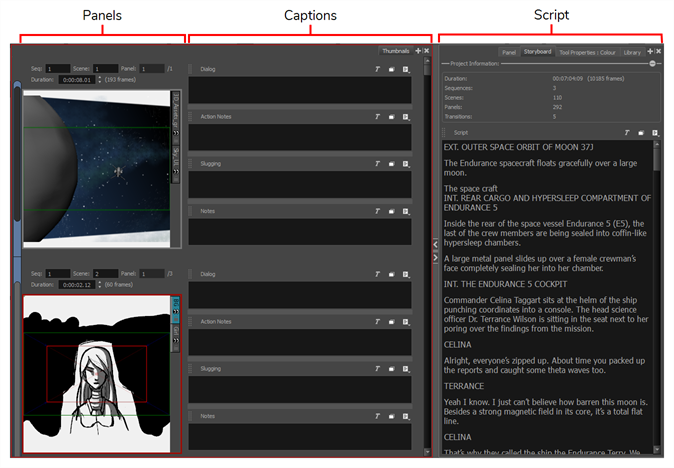 For example, if you imported a script into the Script caption field of the Storyboard view, you can select the text you need and drop it in the desired panel’s caption field. If you did not import a script or if you want to add more text, you can simply type in the needed instructions and information into the caption field.